Now that you've made a number of user-facing enhancements, it's time to work behind the scenes on additional security settings. 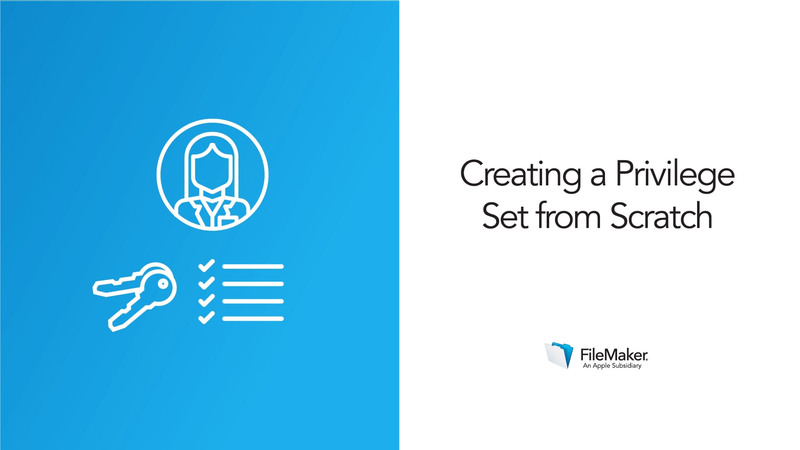 Set up custom user access based on your different user roles — such as Therapist and Bookkeeper — so your app can behave differently for each kind of user. In this lesson, you’ll begin by identifying the roles each person plays within your app and thinking through any access restrictions they should have. Based on that plan, you’ll set up targeted access using a new custom privilege set that determines what each user can see, create or edit when they log into your app. Finally, you’ll refine the app’s interface so a user doesn’t see elements she can’t use. You’ve already password-protected your app against unauthorized users, but even authorized users may need different levels of data access. For example, a Finance user will thank you for keeping sensitive data for their eyes only. This isn’t just about keeping data private; you can also help users to avoid messing up data accidentally. If a user should be able to read data but not edit it, include this restriction in your security model to make it easy for users to succeed. Modify a privilege set for therapists in the activity below.